Okay, who doesn’t want to luxuriate in their own, private spa? This space was designed for relaxation and rejuvenation. 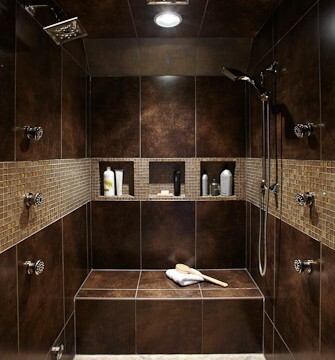 With 6 body jets, a rainhead shower, hand-held shower AND a steam unit, it just doesn’t get any more luxurious than this!